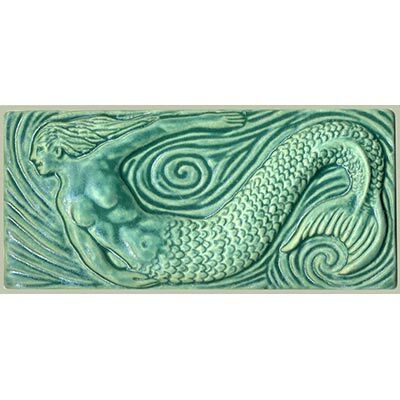 The Mermaid tile measures 4" high by 8" wide. 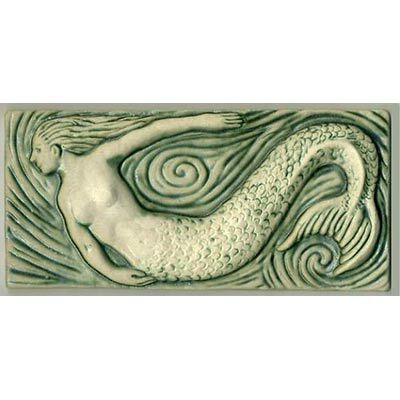 The figure and waves are sculpted in relief. This tile is available in any single color or a single color with the high points wiped off for greater contrast between foreground and background. Colors shown: aqua; deep turquoise with wiped high points.